Pollington Bed and Breakfasts. Compare latest rates and Live availability for all your favourite places and places you have always wanted to go using our new My Shortlist feature. Click + to add to your Shortlist. Bed and Breakfasts in Pollington, East Yorkshire for 1 night from Sat Apr 20, 2019 to Sun Apr 21, 2019 within 10 miles, in an Average Nightly price range of £1 to £200. Family run business. Close to both M62 and M18 Motorways Mews type accommodation set away from main building giving unrestricted access. Home cooked food Indian Restaurant Free Wi-Fi in Pub Sky T.V. (Not Sports) Local attractions and Industries close by. Real Ales as well as an extensive range of draught beers and wines. 12 en-suite rooms with freeview tv, coffee making facilities. On site parking and daily cleaning service. Close to the M62, M18 Goole, Selby and Thorne. 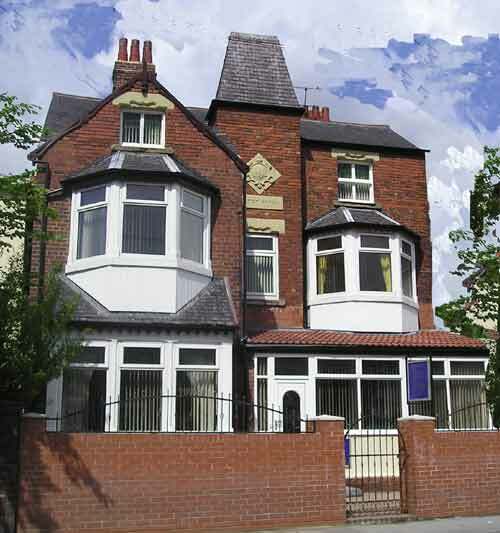 Kings Chamber by Marston's Inns in Doncaster provides accommodation with a garden and a bar. The property is situated 23 km from Cusworth Hall and 18 km from Doncaster Racecourse. Keepmoat Stadium is 20 km away and Doncaster Royal Infirmary is 18 km from the hotel. All guest rooms in the hotel are fitted with a kettle. Rooms come with a private bathroom with free toiletries and a hair dryer. At Kings Chamber by Marston's Inns, the rooms are equipped with air conditioning and a flat-screen TV. Continental and Full English/Irish breakfast options are available every morning at the accommodation. The nearest airport is Doncaster Sheffield Airport, 19 km from the property. The Farmhouse Bridge Farm is a large modern homely bed and breakfast in the small East Yorkshire village of Rawcliffe Bridge near Goole and Thorne. We are situated close to the M18 M62 and the M180. Robin Hood Airport and Doncaster are less than 30 minutes away while with close proximity to 3 motorways The Farmhouse provides easy access to Leeds Hull Scunthorpe and Sheffield. Accommodation is in large double or twin-bedded rooms. Both large double rooms are en-suite and the other 2 rooms have private adjacent bathrooms. Free wireless internet access is available. Situated in the small East Yorkshire village of Rawcliffe Bridge, within 20 miles from the centre of York, The Farmhouse B&B boasts free WiFi and free private parking. This large modern home is 17 miles from the Robin Hood Airport. An adjacent or en-suite bathroom, and a flat-screen TV are provided in each room. In the mornings, The Farmhouse serves full English breakfast. The town of Doncaster is 17 miles away and offers numerous restaurants, pubs, and shops. Rawcliffe Bridge is close to the M18, M62, and M180 motorways. The location provides easy access to Leeds, Hull, and Sheffield, each of which is situated within a 40 mile radius of the guest house. The Punchbowl Inn is the main guest accommodation in Thorne. Originally built as the home of a mine deputy The Punchbowl Inn has undergone an extensive and sympathetic refurbishment to provide a quality warm and friendly venue. With easy access to Humberside Airport and Robin Hood Airport Doncaster Sheffield. We are just a half mile from J6 M18 1 mile from the M180 & only 5 minutes from the M62. This gives excellent links to Goole Hull Doncaster Sheffield and leeds. Our individually styled bedrooms offer the ideal resting place for the business traveler tourist or even when visiting family & friends. Every room has en-suite shower room remote control TV with freeview trouser press and tea & coffee making facilities. We serve a comprehensive menu of home-made food using the freshest and finest seasonal local produce. Dine in our large comfortable library or separate conservatory or in the summer in our spacious beer garden with outdoor seating. The Punchbowl Inn is situated in Thorne and features a bar. The accommodation features free WiFi. All units in the inn are fitted with a TV. The private bathroom is equipped with a shower and free toiletries. A Full English/Irish breakfast is served each morning at the property. At The Punchbowl Inn you will find a restaurant serving British cuisine. York is 45 km from the accommodation, while Doncaster is 20 km from the property. The nearest airport is Doncaster Sheffield Airport, 17 km from The Punchbowl Inn. Thorne Central Guest House provides competitively priced accommodation to suit all tastes . Located in the historic Market Town of Thorne 11 miles northeast of Doncaster boasts a wealth of nearby attractions for visitors including Thorne Moors. Access is easy with the M18 / M180 motorways nearby two railway stations Robin Hood Doncaster Sheffield International Airport within 10 miles and the Sheffield and South Yorkshire Navigation canal running through the town. br / br / br / br / Within 50 yards of Thorne Central Guest House there are all the shops and services you need in Thorne and people come from miles around to use the high quality butchers bakers etc. There is a market four days per week although Friday is when it is particularly busy and colourful. br / br / br / br / This recently developed family run establishment caters for the needs all people alike whether you re a business person with local appointments at the large BMW Head Office within the town contractors working within the area or families on leisure breaks away. The Fair Green Hotel is a comfortable hotel located in the South Yorkshire market town of Thorne just outside Doncaster. The hotel has 8 well appointed guest rooms and a public bar. The Fair green is ideally placed for both business and leisure with free guest Car parking and we also have facilities for romantic and unique wedding receptions. br / br / br / br / The Fair Green Hotel is located in the market town of Thorne just a 20 minutes drive from Doncaster and 5 minutes from the M18 motorway. br / br / There are 8 en-suite guest rooms at present with flat screen tv s and tea/coffee making facilities. The Fair Green Hotel has a 40 seater restaurant which serves light lunches and evening meals. We have an additional 16 rooms that are under a refurbishment program to bring the hotel into the 21st century. br / br / br / br / The hotel is ideally situated for visiting the local area there is the Doncaster Dome leisure centre which features indoor sports climbing wall and ice rink. Doncaster racecourse is a 20 minute drive away and hosts racing throughout the year with concerts from top artists. br / br / A 35 minute drive will take you to escape also known as junction 32 with its large outlet shopping centre and indoor ski run. There plenty of places to visit using the hotel as a base the city of York which is steeped in history is only 35 minutes away as is Leeds. br / br / br / br / The town of Thorne hosts 2 golf courses and the delves fishing ponds as well as fishing on the canal which runs through Thorne. The local area is popular with fishermen from out of the area. The Fair Green Hotel is located in the market town of Thorne just a 20-minute drive from Doncaster and 5 minutes from the M18 motorway. This family-run hotel has free on-site car parking, free WiFi in the bar and freshly prepared food. Each of the en-suite guests rooms include a flat-screen TV with Freeview channels channels and tea and coffee making facilities. The Fair Green Hotel has a restaurant that serves a tempting array of traditional British dishes. The hotel is situated in the town of Thorne, just 5 minutes' drive from junction 6 of the M18 motorway. Doncaster Racecourse is a 20-minute drive away, and York Cathedral is 30 miles away. The Dome Leisure Centre is just 20 minutes' drive away, and features indoor sports facilities, a water park, a climbing wall and split-level ice rink. The town of Thorne has 2 golf courses and several fishing ponds, as well as fishing on the canal. A modern friendly hotel, located on the A63 Selby Bypass, only 3/4 of a mile from the town centre. Our hotel also has a bar and family restaurant with a children's play area. At The Wishing Well, you will be welcomed by our team of staff who will look after you throughout your stay. We cater for everyone staying at our hotel from the discerning business traveller to a family of 4. Ample free car parking is available to all hotel guests. Located in Selby, North Yorkshire region, Micklegate House is set 700 metres from Summit Indoor Adventure â€“ Selby. All rooms boast a flat-screen TV with satellite channels and a private bathroom. The units in the guest house are equipped with a kettle. The nearest airport is Doncaster Sheffield Airport, 41 km from the property. Featuring a garden, Olympia Hotel is located in Selby. This property is set a short distance from attractions such as Summit Indoor Adventure â€“ Selby. Guests can have a drink at the bar. All rooms in the inn are fitted with a flat-screen TV. A continental breakfast can be enjoyed at the property. You can play darts at Olympia Hotel. The nearest airport is Doncaster Sheffield Airport, 41 km from the accommodation. The Wellington Hotel is located in Howden and features a terrace and a bar. Both free WiFi and private parking are accessible at the hotel. All guest rooms in The Wellington Hotel are fitted with a TV. There is an on-site restaurant, which serves a variety of British dishes. York is 33 km from the accommodation, while Doncaster is 38 km away. Doncaster Sheffield Airport is 37 km from the property.